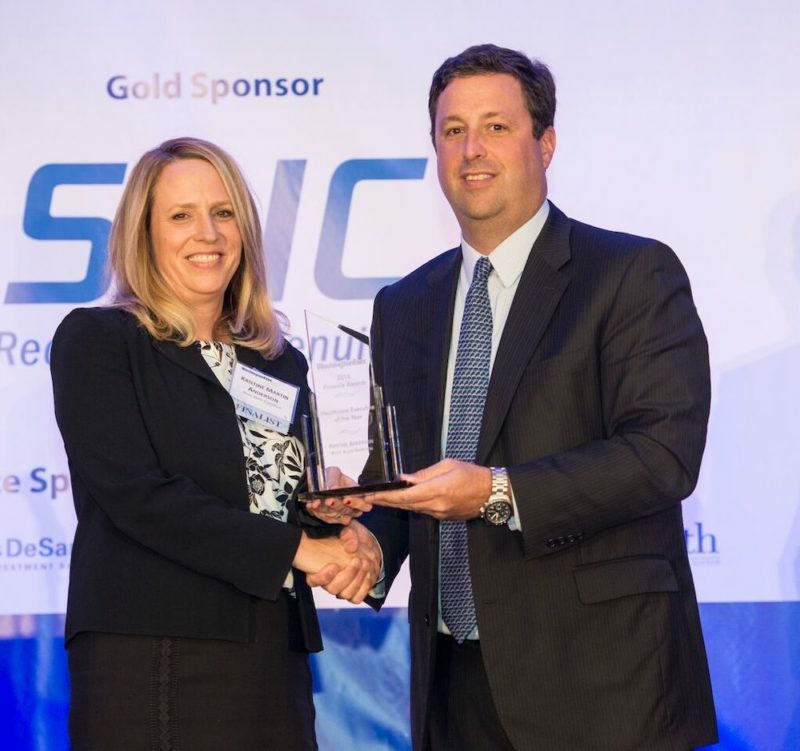 Kristine Martin Anderson, an executive vice president at Booz Allen Hamilton and a thought leader in the federal health IT space, was honored with an inaugural 2018 Pinnacle Award by WashingtonExec. Anderson, who heads up Booz Allen’s civilian services group, was named Healthcare Executive of the Year. At Booz Allen, where Anderson has spent more than a decade, her work supports some of the most important health care missions in the federal government, including veterans benefits and the marketplace system integrator for the Centers for Medicare and Medicaid Services. Anderson was also recently named a Top 10 Health Care Executive to Watch by WashingtonExec. The 2018 Pinnacle Awards, which honor and influencers in the GovCon space, were presented by WashingtonExec Nov. 5.